The result was announced after market hours yesterday, 25 October 2018. Meanwhile, the S&P BSE Sensex was down 212.64 points, or 0.63% to 33,477.45. On the BSE, 47,000 shares were traded in the counter so far compared with average daily volumes of 16.26 lakh shares in the past two weeks.  The stock had hit a high of Rs 302 and a low of Rs 287.20 so far during the day. The stock hit a 52-week high of Rs 565 on 3 November 2017. The stock hit a 52-week low of Rs 277 on 22 October 2018. Consolidated EBITDA fell 20.7% to Rs 6343 crore in Q2 September 2018 over Q2 September 2017. Consolidated EBITDA margin decreased to 31.1% in the quarter as compared to 36.8% in the corresponding quarter last year. Consolidated mobile data traffic at 2,758 billion MBs in the quarter has registered a healthy year-on-year growth of 225%. Average revenue per user (ARPU) of the company declined 28.80% to Rs 101 for the quarter ended 30 September 2018. The figure stood at Rs 142 in the same period last year. Consolidated net debt for the company has increased by Rs 10301.40 crore to Rs 113204.20 crore as compared to Rs 102902.80 crore for the previous quarter. 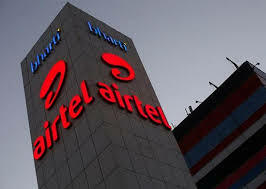 Bharti Airtel is a leading global telecommunications company with operations in 16 countries across Asia and Africa.